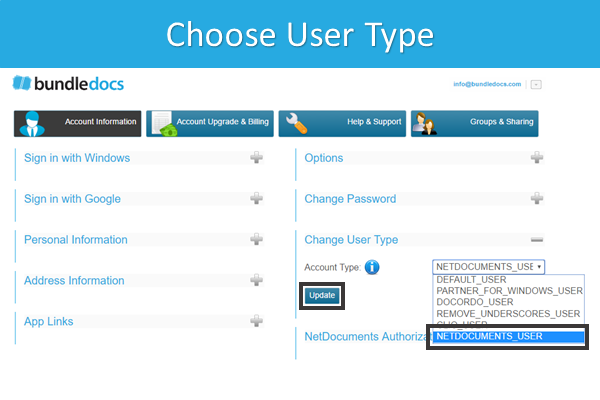 Are you a NetDocuments user? Do you have a need to prepare high quality bundles, briefs, binders or document booklets? You've come to the right place. Bundledocs can do it all for you in minutes. The best bit is we are 100% cloud based which is perfect for any NetDocuments user out there. This month, Bundledocs is delighted to announce the re-release of our integration with NetDocuments. 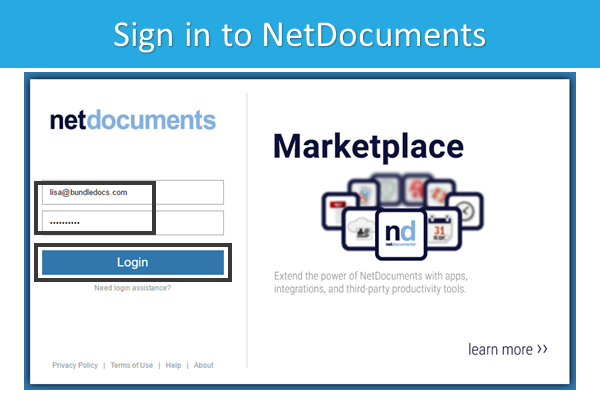 This latest release provides you with even more ways to upload your documents from NetDocuments into Bundledocs. 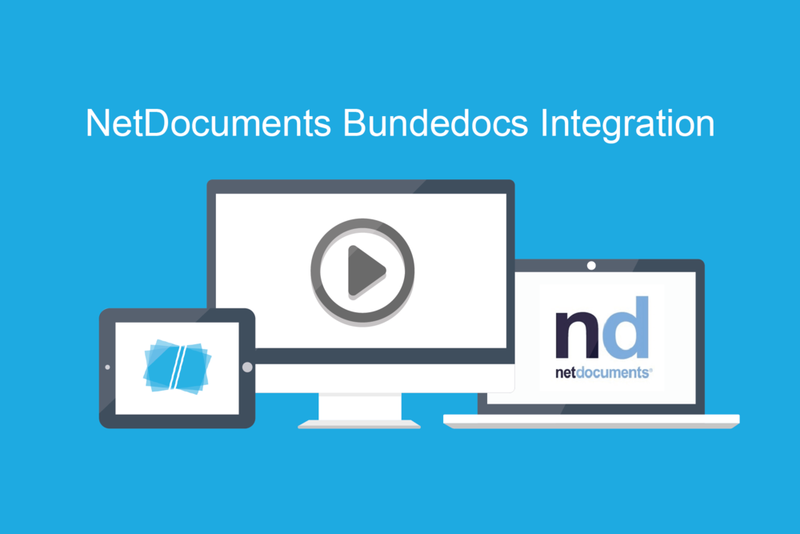 If you missed the announcement, then check it out now: "Bundledocs Re-Launch Integration with NetDocuments DMS''. 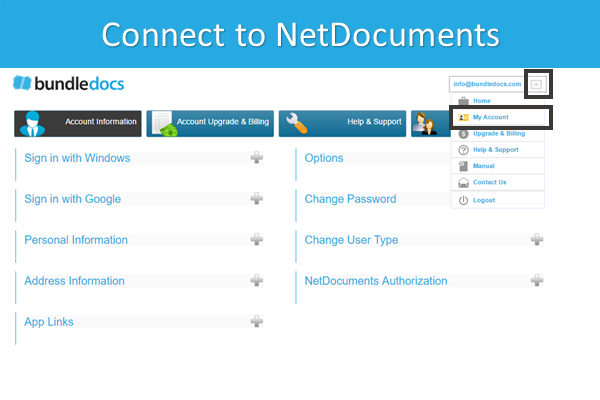 Our integration with NetDocuments makes it easier than ever to access your NetDocuments files and effortlessly upload them into Bundledocs - any time, any place and on any device. What could be easier! Ready to give it a go? If you are already a Bundledocs user then simple login or if you are new to Bundledocs then why not setup a FREE 30 Day Trial Account now. There is no credit card required and no obligation. So no reason not to get started! Bundledocs are delighted to offer a FREE connector with Clio. 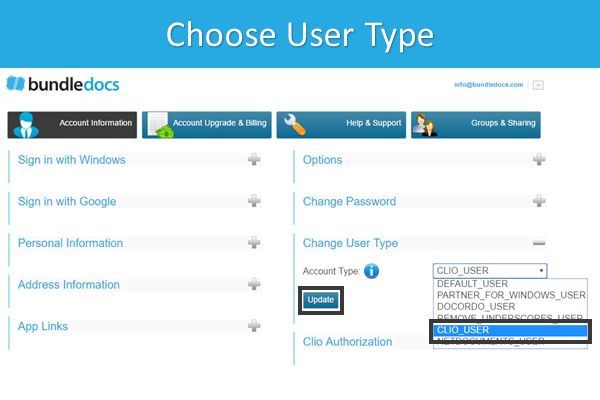 This is available to all Clio users and can be accessed directly within your Bundledocs account. 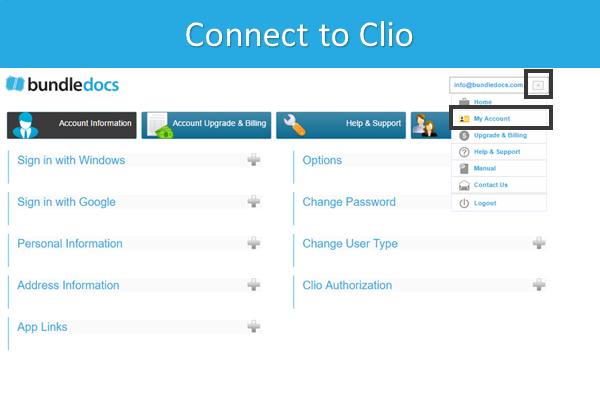 Our integration with Clio allows documents to be quickly and easily uploaded into your bundle. Once uploaded, Bundledocs takes over to automatically create a fully indexed, paginated, bates numbered, hyperlinked and bookmarked bundle. The completed bundle is immediately ready to print, save or share - and it only takes 5 steps. Bundling has never been easier! 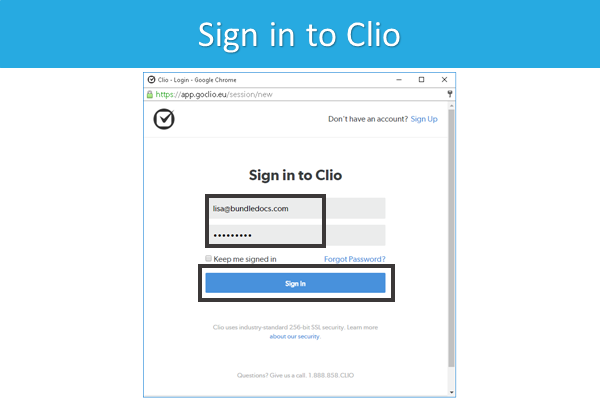 Simply follow these steps to connect to Clio. It's completely free! Need Help? Get in touch with our dedicated team today. We are happy to answer any questions you have so don't waste any time. Bundledocs recently announced the development and launch of a new app to compliment their powerful document bundling solution. The new App offers all the same features and functionality as their Desktop solution, now direct from your smartphone or tablet device. Effortlessly preview, amend or even create complete document bundles on the go. 1. Select 'Choose Documents to Upload' to search locally for case documents. This is great when using devices such as the Microsoft Surface Pro. 2. Alternatively, access documents from a number of our integration partners such as: Dropbox or Box. Simply choose the relevant third party app and search for case documents. Once uploaded, Bundledocs takes over to automatically create a fully indexed, paginated, bates numbered, hyperlinked and bookmarked bundle - ready to print, save or share. Check out our video to see it in action. Our latest integration makes the process of creating professional document bundles even easier. For more information, contact support on +353 21 482 6320 or send us a quick email.